For businesses working to maintain a healthy cash flow, managing what goes out is just as important as managing what comes in. A balanced purchase-to-pay (aka procure-to-pay or P2P) cycle is essential. However, mistakes in the process can be costly and can affect your entire supply chain. For example, failing to pay suppliers, transportation brokers, and carriers on time and correctly can damage your relationships with those vendors. Likewise, paying for services that aren’t performed correctly — or at all — damages your business operations. An essential step in managing your P2P cycle is properly vetting all your supply chain vendors — but not all companies are performing this vital step. Research from the Hacket Group and Shared Services Link1 shows 68% of organizations say inaccurate supplier data has led to delays in payments to them. 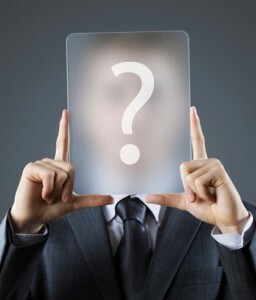 Why is it hard to perform due diligence on vendors? It’s complicated. For example, consider the number of parties involved in just your shipping operations: carriers, brokers, factoring companies, shippers, receivers, and broker surety bond companies all play a part at some point. Knowing who all those players are and keeping an eye on the health of their organizations is important. How can you make informed decisions about the vendors you choose to support your supply chain? Vetting vendors: Where to start? One of the most reliable and accessible resources you have for vetting vendors throughout your supply chain is a credit report. It provides a detailed overview of organizations you are considering working with. The credit report provides a starting place for ongoing portfolio management, a service that employs sophisticated analysis tools to mine deep data and monitor the health of vendor organizations. Your portfolio management service will alert you when a broker or carrier runs into issues. In addition, when vendors are doing well, the service helps you decide which organizations are strongest and are the best partners for ongoing support of your business. Once you have essential information in place, you can incorporate it into your supplier management practices, use it to foster open communication, and make sound decisions to protect your cash flow. 1 Shared Services Link, Infographic, 3 Procure-to-Pay Zones That Are Overlooked, February 2015. This entry was posted on Tuesday, September 29th, 2015 at 11:22 am	and is filed under Risk Management. You can follow any responses to this entry through the RSS 2.0 feed. Both comments and pings are currently closed.